Every Christian should live to be able to say to others as Paul did, Follow me, do as I do. When I study the life of Finney I see the recurring theme, Power. People are doing everything they can today to have power. Some try to find power in the position they obtain in life. Some are looking for power with physical strength. Some look for power with the things they buy. Some are looking for power in weapons they wield. Today we are going to look into the life of a guy who tapped into a different kind of power. 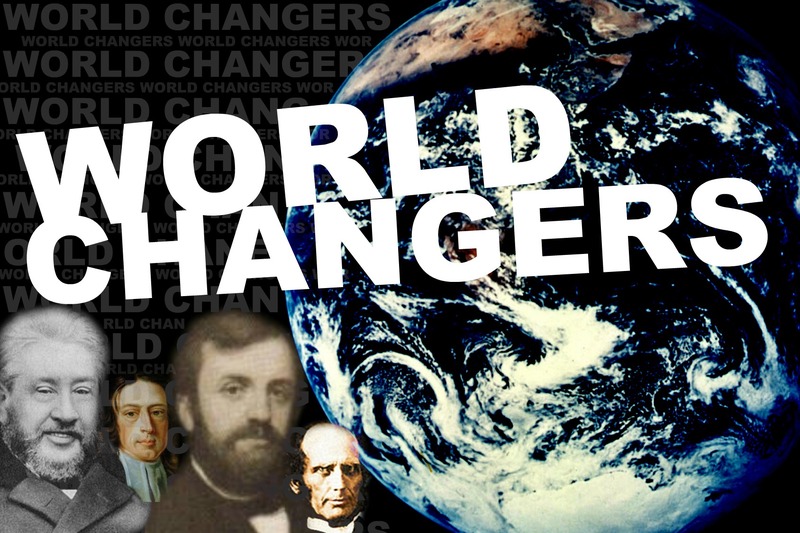 So that you can become a world changer. Church historians say that Charles Finney probably led more people to Christ than any person previous to his time. Finney led 100,000 people into church membership in the Rochester Revival of 1830. Charles Finney was a world changer. There are a lot of things that happen in the life of the church today in 2011 that never happened before the ministry of Finney. Prayer meetings – Three weeks for prayer meetings before preaching revival. Home visits – Finney started the tradition of home visits. To the sick and the unconverted. Altar calls – 175 years ago Finney was the 1st one to give what we today call Altar Calls or invitations for people to rise up and take a public stand for Christ. Finney discovered the power of God – “Dunamis” our word Dynamite comes from this. “Dunamis” the explosive, Miraculous Power of God. God’s Dunamis, Gods Explosive Power is available to all who believe in Jesus Christ. Finney had no religious training, not a single seminary class. He didn’t have the head knowledge that comes from an education but he had the heart power that comes from a relationship with God. Finney never even prepared his sermons before he would go some-place to preach. But rather he would immerse himself in Prayer and the reading of God’s Word. The Holy Spirit is the power that is given to you that empowers you to live your life for God. Finney had lots of hard questions for God – Don’t ever hesitate to take your hard questions to God. Because of his questions, he started to read the Bible and he listened to the sermons which he admitted he did learn some things and his study brought him to this question. Finney was a Lawyer and he said at that point “Christ has a retainer on my life” he quit the law practice and started to preach the gospel. God never called anybody to be comfortable, God always calls us to get out of our comfort zone. No one in the Bible found it 2nd nature to do what it was God had called them to do. Have you ever wondered why so many churches have what we call an invitation? This usually comes at the end of a service and the preacher will stand up front and say if anyone wants to publicly follow Christ come forward right now. As a matter of fact, there are folks who get upset when a preacher doesn’t offer an invitation to accept Christ. Some believe that Christ instituted the invitation at the end of the church service.It wasCharles Finney about 175 years ago. You won’t find it in the Bible anywhere – but that doesn’t mean it is a bad thing. Anxious seat – He first came up with what he called the anxious seat. This was a place where anyone who was seeking answers could come sit near the preacher, as a way to say, I need answers and I am seeking. Anxious or Inquiry Meetings – people would be asked to come the day after a service and have their questions about the faith answered. Altar Calls – Finney then began to be so bold as to ask people at the end of a service to stand and make a bold stand for Jesus Christ.